Vines and leaves intertwine to form this delicate pendant which celebrates nature. Opened and domed design displays the 7mm stone of your choice. A perfect companion to a vine and leaf ring or vine hoop earrings. 3/4 inch round. 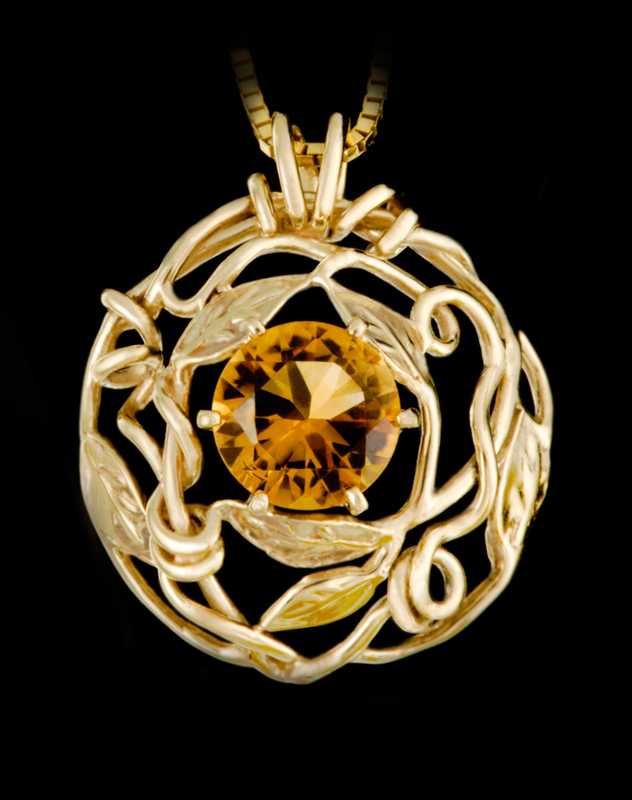 Shown with Citrine and .75mm box chain.